Our stalled bus on the road to La Union. It’s actually not as bad as it sounds unless you’re the excitable sort, which I’m usually not. If you are, then it’s exactly as bad as it sounds, even though you realize, once you’re safe and warm in your hostel bed, that it shouldn’t have been. The first time was on a trip to Pagudpud, a surf town on the northernmost edge of Ilocos Norte. I flew into Laoag, the provincial capital, from Manila, then nervously had a tricycle take me to the bus stop. This was about 10pm. I had never done this before, take a tricycle by myself–at night in a province I had only been to once–to a bus stop I had never been to, to take a chance on getting a ticket to a town I had only seen in pictures. I thought that getting a ticket would be easy; I didn’t count on everyone and their grandmother wanting to get on the same bus–the last bus for the night. Fortunately, I somehow managed to snag a seat. The bus was crammed full of people, the aisle packed with standing passengers. The trip to Pagudpud took two hours; many passengers were traveling further than that. The bus drove through the highway in light and darkness, through illuminated towns and darkened roads. Somewhere along the journey, it began to rain. I had gotten directions from the resort to have the bus stop at a sari-sari store called Bong-Bong’s. I had repeated this to the bus driver and conductor when I boarded the bus, before spending the rest of the trip praying that they wouldn’t forget. They didn’t. They dropped me off at Bong-Bong’s, a shack in the middle of nowhere, around midnight. There was no one in sight. The line of tricycles that the resort assured me would be there wasn’t, all the drivers gone home for the night. The rain hadn’t let up, and though I didn’t have an umbrella, the store had a roof, and that’s where I stayed, messaging friends where I was and how my possessions were to be divided if they couldn’t find me in the morning. An overreaction, to be sure, but it was done in jest. Well, mostly in jest. Okay, partly. The reason I had begun texting people where I was was because I had been trying to call and text the resort, to no avail. Finally, after an hour, someone picked up, and a friendly tricycle driver was roused from his sleep and dispatched to pick me up. Needless to say, he got a big tip. The second time it happened was on a trip to San Fernando, a surf town in La Union. I mistakenly bought tickets to the wrong bus, thinking that I was going to be on the bus that passed through the TPLEX (Tarlac-Pampanga-La Union Expressway), which would have cut a seven-hour trip down to three hours and a half. Instead, I got on a regular bus that passed through Tarlac and Pampanga, before getting to La Union. I didn’t think much of my mistake because seven hours on the road isn’t so bad, right? 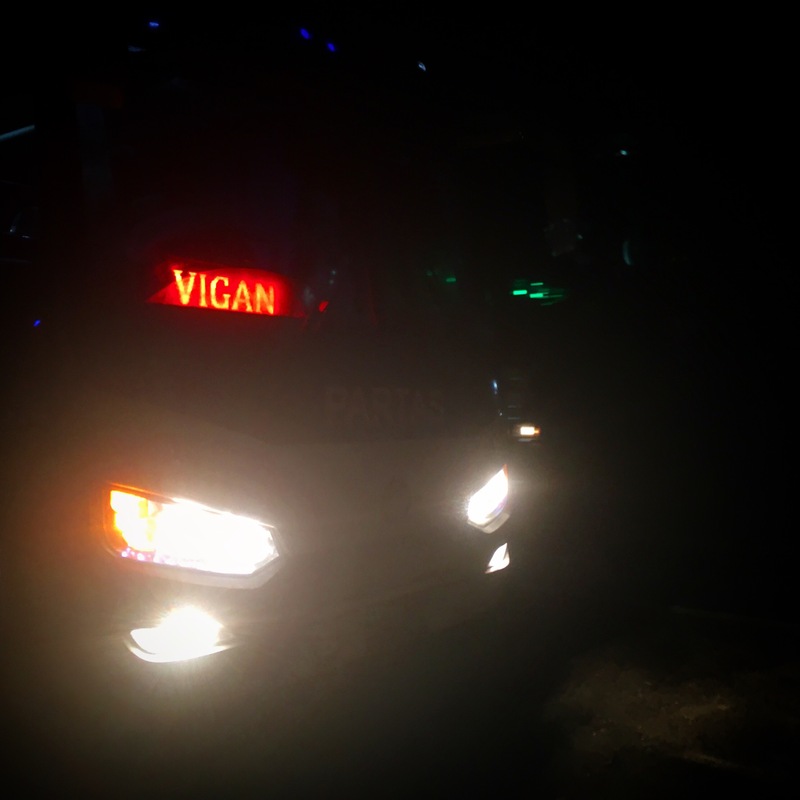 Only the trip actually took ten hours, because the bus broke down in Carmen, Pampanga. “Faulty breaks,” the driver said. We waited by the side of the road for an hour while the driver and conductor tried to get a bus to replace ours. A lot of passengers tried to get a refund, which the conductor couldn’t give because they had bought their tickets at the station and for some reason, they could only get a refund at the place they bought their tickets from. Good logic, Partas Bus. When no replacement bus arrived, the driver suggested that we drive to the next bus stop, but really slowly, never going beyond 30 kph. Most of us, tired and cranky and just wanting to get where we were going, agreed. A few people who didn’t want to risk death stayed behind. It took another hour to make it to the next bus stop; this was actually faster than expected because the driver lied and actually went past 40 kph. Once at the stop, it was another hour before the poor conductor, working tirelessly, managed to get everyone onto different buses to take them to where they were supposed to go. The conductor and driver of the bus I got on didn’t know the landmarks that the resort had texted me, so they dropped me off at the San Juan plaza and instructed me to take a trike to the resort. Thankfully, they dropped me off in front of where the tricycles were parked, and it was easy to find a driver that would take me to the resort at 2 am. He got a big tip, too. The next time I take a bus to a surf town in the north of Luzon, I’m leaving Manila early.